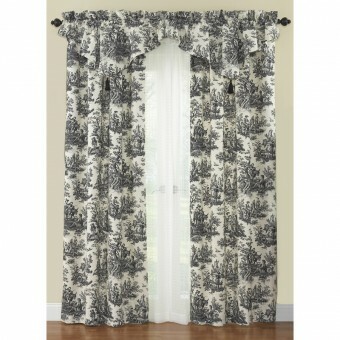 Elegant, traditional and versatile, the Waverly Country Life Toile Curtain Panel is made of genuine, 100% unlined cotton. 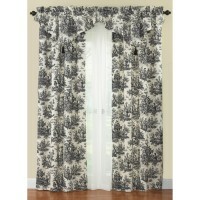 The Country Life design adorning the panel is characterized by an intricate black and white outdoor pattern. The simple palette makes these window treatments easy to match to a number of bedding sets and interior spaces, allowing one to easily bring a sense of traditional beauty into the bedroom, living room or any other room in the home. 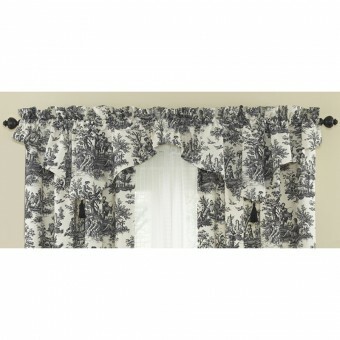 Each Waverly Country Life Toile Curtain Panel and Ascot Valance is sold singly, allowing them to be paired with other panels, valances or accents for a mixed or layered look, resulting in a truly custom decorated interior. 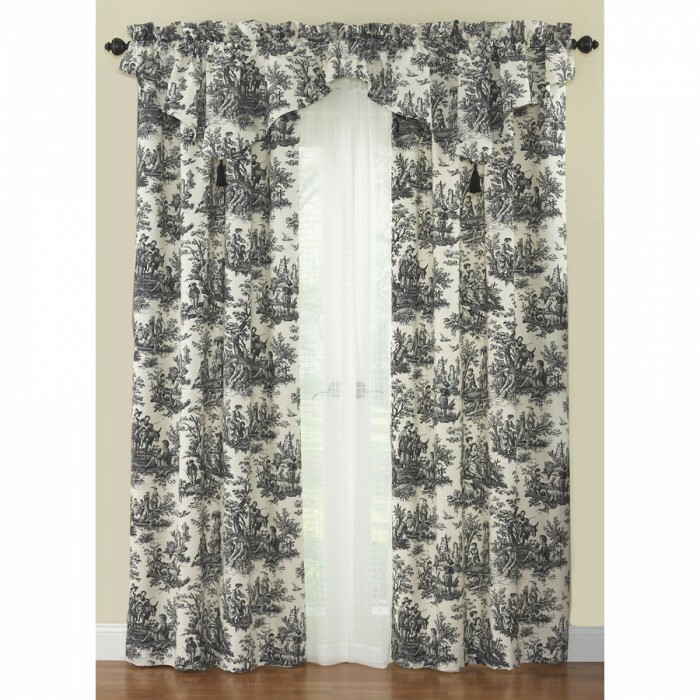 The Waverly Country Life Toile Curtain Panel is durable and sure to find places for themselves in any contemporary home. Elegant, traditional and versatile, the Waverly Country Life Toile Ascot Valance is made of genuine, 100% unlined cotton. 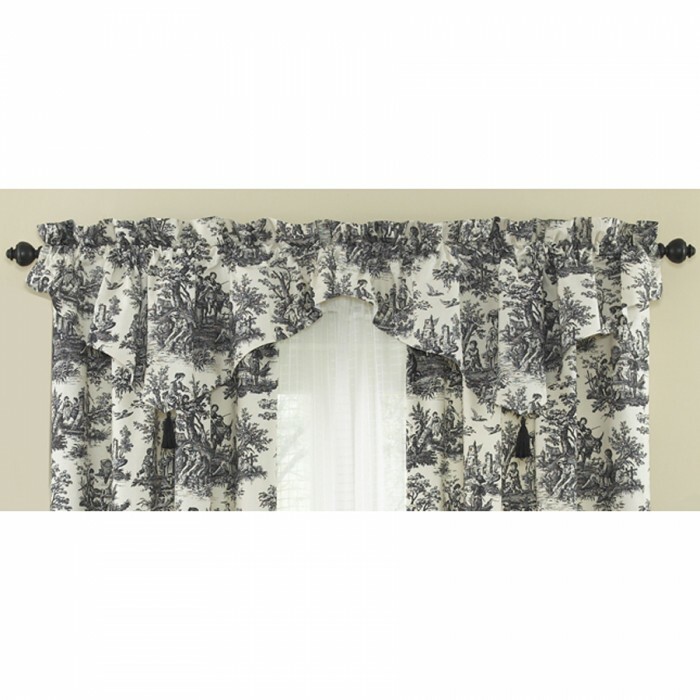 The Country Life design adorning the valance is characterized by an intricate black and white outdoor pattern and accented by a single tassel. The simple palette makes these window treatments easy to match to a number of bedding sets and interior spaces, allowing one to easily bring a sense of traditional beauty into the bedroom, living room or any other room in the home. Each Waverly Country Life Toile Curtain Panel and Ascot Valance is sold singly, allowing them to be paired with other panels, valances or accents for a mixed or layered look, resulting in a truly custom decorated interior. 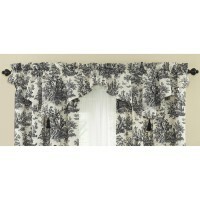 The Waverly Country Life Toile Ascot Valance is durable and sure to find places for themselves in any contemporary home.